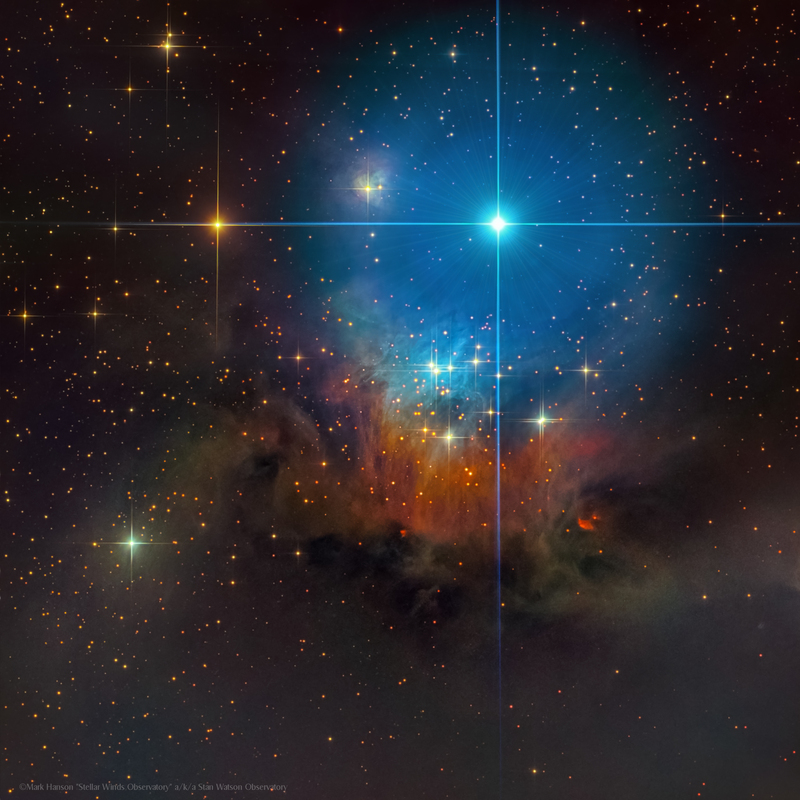 IC 348 (also known as IC 1985) is a rarely imaged open star cluster surrounded by a reflection nebula. The reason this object is not imaged is due to the very bright star glare washing most of the detail away. I spent countless hours slowly expanding this image to fight of the glare and reveal the wonderful image you see here. 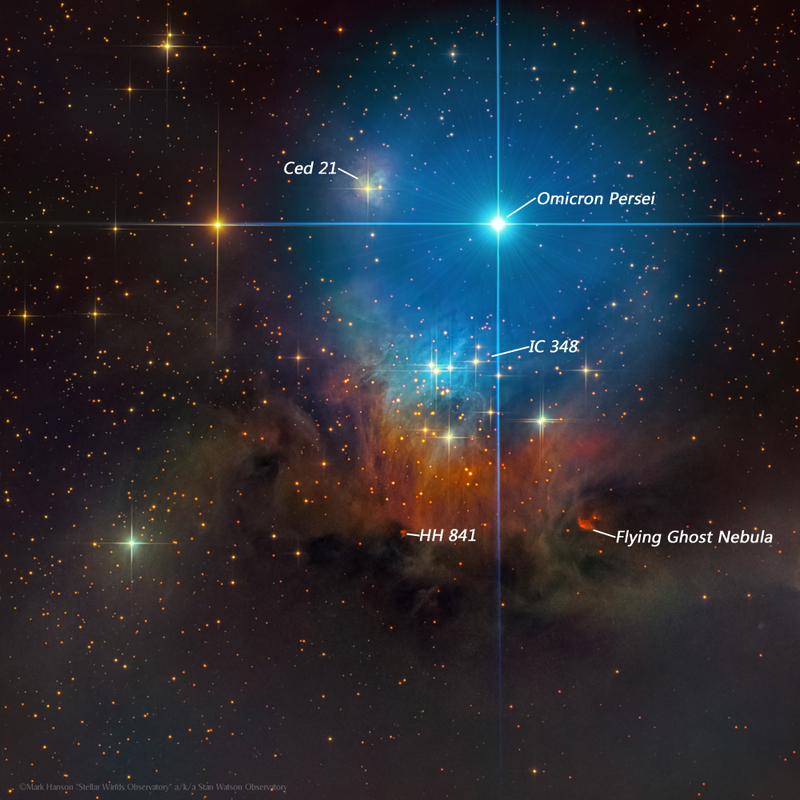 The light from the roughly 400 stars in the cluster is scattered by clouds of dust in the star-forming region, producing the reflection nebula. Equipment used: PlaneWave 17" f6.7 on a PlaneWave HD200 mount and SBIG 16803 imaging camera. Processing: All data was calibrated, aligned, combined in CCD stack. All other processing done using CC Photoshop and PixInsight.